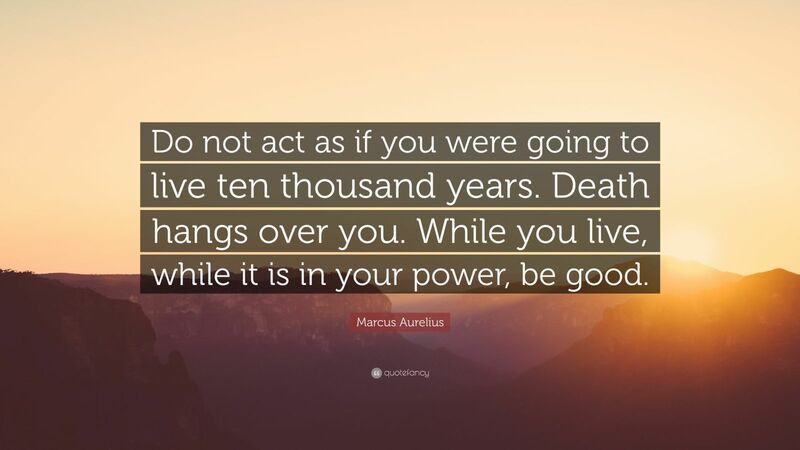 I have read Meditations by Marcus Aurelius no less than two, or three, dozen times over the years. The first time I read this book was when I was in 6th grade, I have read it nearly every other year since. I find peace in his words and his reflections. I find that he tried to live as noble and virtuous a life as he could, in his writing that became very clear. Each time I have read Meditations I have gleamed something new from it. I am always working to remind myself of what is truly virtuous and what it means to live a noble life. I have had years of devoting myself to the service of others, in my community, in my tribe. Sometimes reality bites and brings me back. 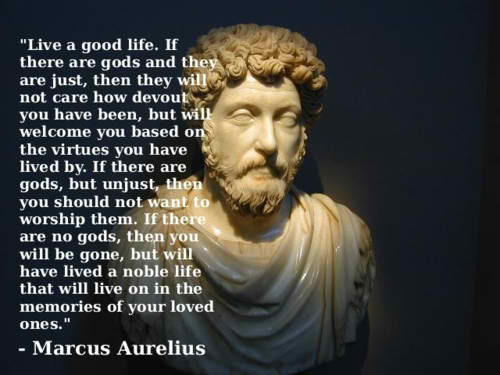 Which is exactly what Marcus Aurelius wrote about. It is neither good nor evil, it simply is. Accept it as fact and move on with what you learned through this experience. Through our upbringings we are taught, and develop traits, which are reflective of our personal values. We are all responsible for our values, if they are not worthwhile then we need to change them, change the way we act and function in our respective groups, change the way we think about what it means to live a life worth singing song about. If you have not faced death, and my that I mean directly, at your feet, touching your soul, you may not be able to relate to a certain awakening you may have experienced. It is only rivaled by being part of the responsibility that is direct birth, or the proxy of. The after affect of which, brings you to see things a little bit more clearly. We all seek meaning in our lives, we all want to leave something more than ourselves behind when we finally meet death. We all want to matter. That is completely dependent on our personal actions, our values, our virtues, our acts of nobility. Take a moment and consider your life, consider your actions, consider what pointless things you get hung up on and if they really matter to you. Remember that you are absolutely responsible for everything that happens to you and that you are absolutely responsible for how feel and think about everything.